Men's gold medal 4x100m team. Missed NACAC? 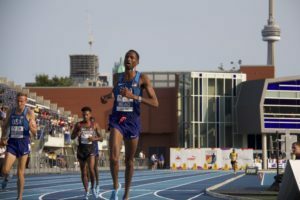 Here are photos and video from last weekend’s NACAC Track and Field in the 6ix Championship. The event saw Canadians win 21 medals despite the absence of many of Canada’s top athletes including: Melissa Bishop, Andre De Grasse and Matt Hughes. NACAC is the North American, Central American and Caribbean Athletic Association.